Dubbed a “Newport Supergroup” by the city’s legendary venue, Le Pub, Clarity have clearly already made quite an impression in the few weeks since they officially formed. 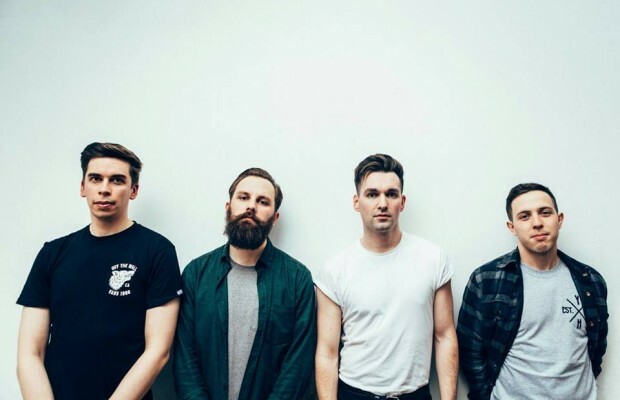 A shamelessly self-described “emo” rock band, Clarity are taking a genre that has become a bit of a guilty pleasure in recent years and making it effortlessly cool again. The only song they currently have available is a perfect example of the noises we could only dream of hearing from a modern day emo band until Clarity came along. ‘Come Back To Me‘ (even the title is emo) is an evocative, powerful tune and showcases their ability in just about every area; instruments, vocals, lyrics, and they’re all pretty damn handsome too, aren’t they? The fact that they only have one song out at the moment hasn’t stopped that one song already gauging a big reaction, mostly because it’s a bloody good song, and Adam Walton from BBC Radio Wales thinks so too. If you’ve not heard him say lovely things about it yet, you’ve not got long left to listen (skip to 1:53 for Clarity, but the rest is good too). As much as I love ‘Come Back To Me‘ I am really looking forward to hearing some more of Clarity’s music, I won’t have to wait too long, and neither will you if you come along to Le Pub on February 21st (this Sunday!) 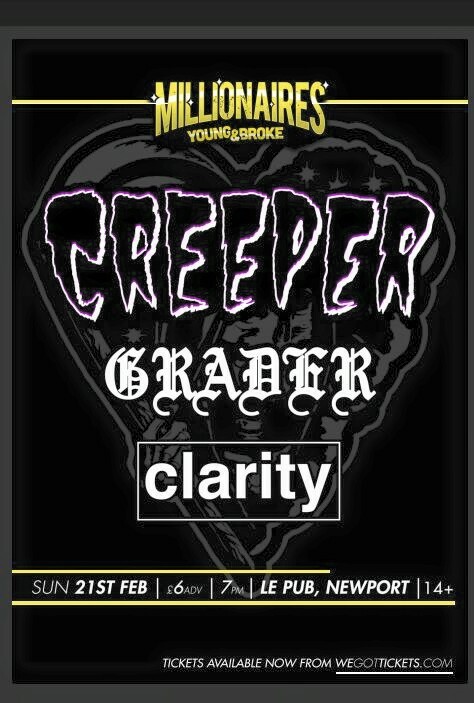 when Clarity will be opening for the mighty, Creeper – a support slot a lot of new bands would wrestle a pack of bears for. And it seems a lot of fans will be wrestling bears for a place at the show soon too, because there’s less than 10 tickets left, so get in there FAST. Header photo and poster taken from the band’s Facebook.